Shen Yun, founded by Falun Gong practioners, has become a worldwide phenomenon and has been packing theaters across the L.A.-area. But the shows are not all about entertainment. For the last decade, I've seen Shen Yun ads — I bet you have, too. Smiling Chinese dancers in colorful flowing gowns leap mid-air across freeway billboards, television commercials and storefront posters. A few days ago, I joined the tens of thousands of Southern Californians who've seen a Shen Yun show this month alone. Audience members have dropped up to $200 per ticket to catch the dance troupe as it tours the region at a mind-numbing pace: nearly three dozen shows at eight locations ranging from Costa Mesa to downtown Los Angeles and Palm Desert. I went to an afternoon show at the Terrace Theater in Long Beach. It was what I thought it'd be. And it was not. Shen Yun features dozens of dancers, a live orchestra and animated backdrops. Yes, most of the dance numbers are upbeat productions with acrobatic performers twirling against the kind of animated backdrops that you'd see at a touring Disney production. 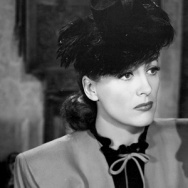 Less expected are the darker themes of religious repression. I knew that Shen Yun had been founded by practitioners of Falun Gong, the spiritual group that the Chinese government banned in 1999. But I wasn't sure if that history would be included in the show. As it turns out, the crackdown by the Chinese government is a very prominent part of the program. In two set pieces — one in the middle of the show, another at the end — costumed thugs appearing to be Communists from the look of the red sickle and hammer emblem on their clothes are depicted beating up Falun Gong followers as they practice meditation exercises outdoors. One "victim" is thrown in prison where "guards" torture him with what looks like a cow prod. He emerges from prison, hobbling, his eyes bandaged. In this scene from a Shen Yun show, performers depict Communist thugs attacking Falun Gong followers. In another scene, for those who haven't got the message, a dancing Falun Gong follower unfurls a yellow banner several times that reads "Falun Gong is good." One of the emcees gravely tells the audience: "The persecution depicted in the piece you just saw is based on true events that is still taking place in China today." He adds, "Unfortunately, you cannot see a performance like this in China." Clayton Dube heads the U.S.-China Institute at the University of Southern California and caught a Shen Yun performance several years ago. "In the advertising, there is no mention of the religious content," Dube said. "Once you are in attendance, however, they will present some religious content and emphasize that Falun Gong is being persecuted in China today." Dube said not since the Mormon Tabernacle Choir has a religious group used the arts so skillfully to win over mainstream audiences. The goal is not necessarily to recruit spectators into Falun Gong, "but to become sympathetic to the fact that this group is suppressed and frequently oppressed in China," he said. Why does the Chinese government target Falun Gong? Falun Gong, also known as Falun Dafa, combines meditation exercises with elements of Taoism and Buddhism. Practitioners say it is "a meditation discipline that includes gentle exercises and the guiding principles of truthfulness, compassion, and forbearance.” A Qigong master named Li Hongzhi founded the practice in the early 1990s and, within years, had amassed tens of millions of followers across China. 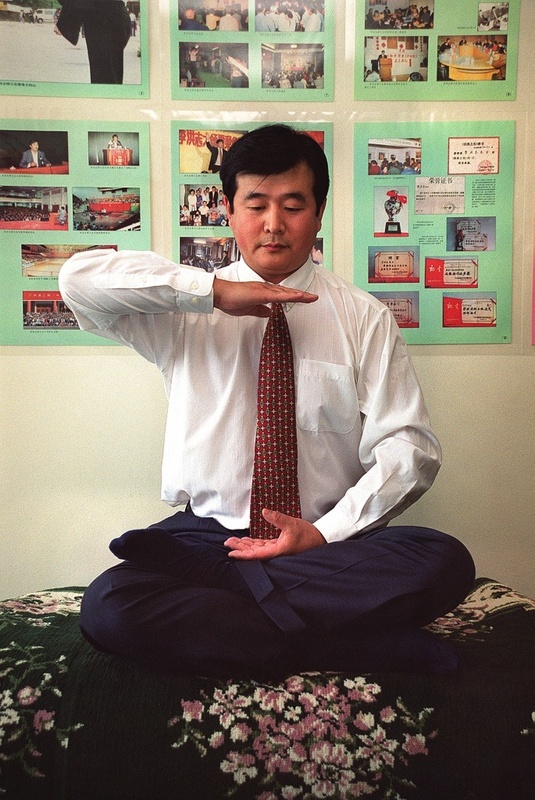 Falun Gong founder Li Hongzhi during a June 1999 interview in New York. 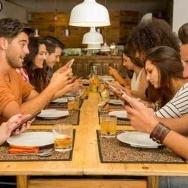 That set off alarm bells for the Communist regime, whose propaganda arm planted TV and print stories saying the practice was based on quack science and unhealthy, said James Tong, who directs the Center for East Asian Studies at the University of California, Los Angeles. "They said some Falun Gong practitioners became crazy and committed suicide," Tong said. In April 1999, more than 10,000 Falun Gong members staged an hours-long silent protest outside the Zhongnanhai, the Communist Party’s headquarters in Beijing. 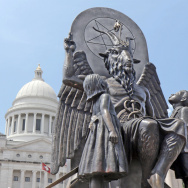 Authorities responded by labeling the group an "evil cult," listing members on a registry and forcing them to renounce their beliefs. Human rights groups say ever since the crackdown began, the government has arrested thousands of Falun Gong members. What's happened to Falun Gong in the decades since? The founder Li emigrated to the U.S. and is living in New York, Tong said. That's also where the Shen Yun dance troupe is based. Tensions between Falun Gong and the Chinese government still run high. Falun Gong protesters must operate underground in China. But in the U.S., members regularly show up when prominent Chinese officials visit the country to challenge them on human rights. One Falun Gong follower famously interrupted a speech by former President Hu Jintao at the White House in 2006. Falun Gong remains a taboo subject in China, along with Tibet and Taiwan. Members of the spiritual group have fought negative portrayals by the Chinese government by creating their own news organizations, including the English daily The Epoch Times, which publishes rave reviews by Shen Yun audience members. The New Tang Dynasty Television broadcasts interviews with audience members, celebrities among them, such as the actor Martin Freeman (of "Lord of the Rings" fame) who caught Shen Yun in London earlier this year. No one from the dance company or from the local Falun Gong association that helps promote the performances would talk to me about Shen Yun. Most of the press about Shen Yun comes from the Falun Gong-associated news organizations. How did Shen Yun come into existence? 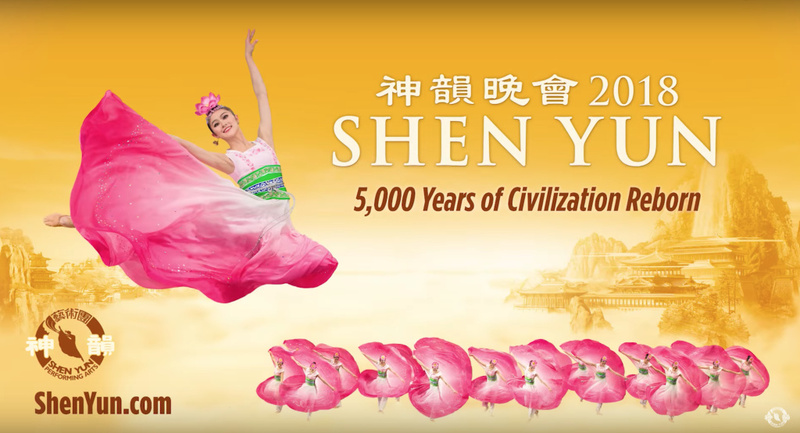 In 2006, members of Falun Gong founded Shen Yun to "use performing arts to revive the essence of Chinese culture—traditionally considered a divinely inspired civilization," according to the Shen Yun website. Tong said Shen Yun is the Falun Gong's attempt at religious art — much like the Sistine Chapel — that can be enjoyed and admired by non-adherents. Dancers train out of Fei Tian Academy of the Arts in Deerpark, N.Y., about 2 1/2 hours outside of New York City. In just over a decade, the show has become a worldwide phenomenon, selling out top venues like the Lincoln Center and Carnegie Hall. Five dance troupes accompanied by live orchestras travel the world simultaneously so that Shen Yun shows are often taking place the same week on different continents. 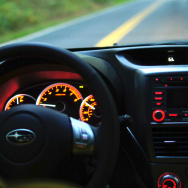 The show is bringing in millions of dollars during its month-long spin through Southern California, helping to offset the hundreds of thousands of dollars that the company is spending on advertising and renting top venues like the Microsoft Theater, according to Gene Del Vecchio, a USC adjunct professor of marketing. "You have to be hiding under a rock not to have seen the marketing and communications for Shen Yun," Del Vecchio said. 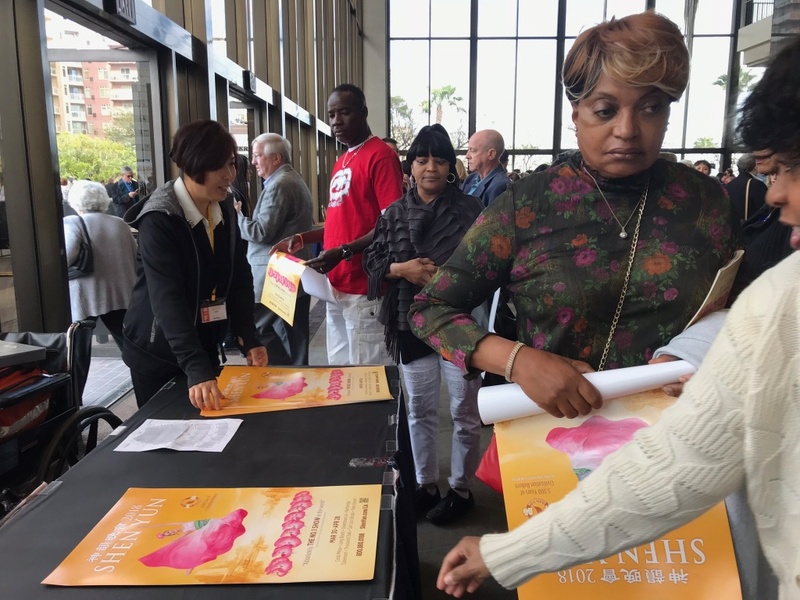 After the Shen Yun show at the Terrace Theater in Long Beach, audience members are given posters. So, how are audiences receiving the show and the political message? I spoke to more than half a dozen people after the Long Beach show, and the response was universally positive, with some reservations. Steve Cline drove nearly two hours from his home in San Bernardino County with his wife and mother-in-law to Terrace Theater. He found the depictions of violence about Falun Gong jarring in a show that is otherwise joyful, and often humorous. "It seemed a little bit contradictory to me," said Cline, who is from Apple Valley. But in the public relations battle with China, Falun Gong appeared to be winning over Shen Yun fans. Mildred House, a psychologist from Rancho Palos Verdes, came with about a dozen friends from her bridge club. She didn't know what Falun Gong was before, but she was saddened by their plight as depicted on the show. "They were saying more or less that they would not be able to do this show if they were in China," House said. 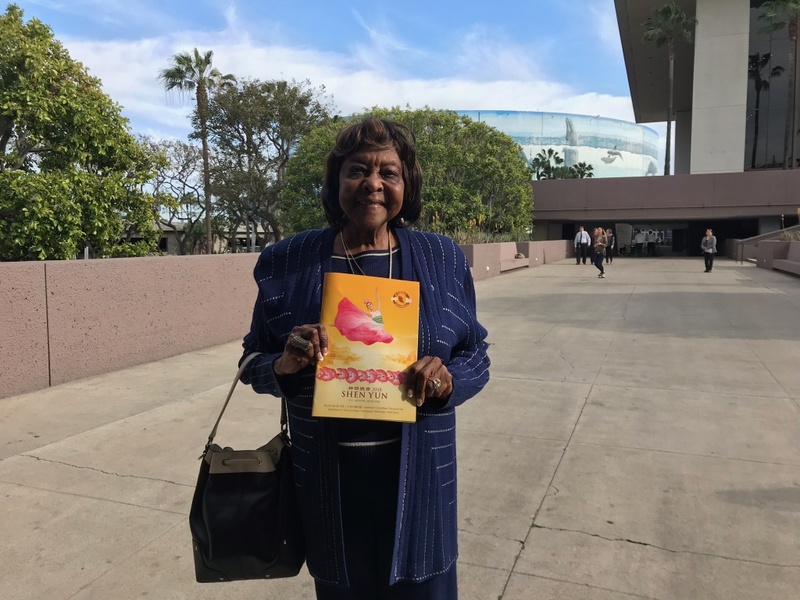 Mildred House, a psychologist from Rancho Palos Verdes, attended the Shen Yun show with a dozen of her girlfriends. Can Southern California audiences still see Shen Yun shows? The last shows in Southern California take place this weekend in Palm Desert, and they're sold out. 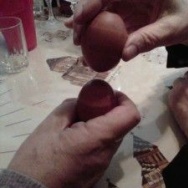 But there's always next year. Shen Yun promises that each year the numbers will be different so, of course, it invites you to see the performance again.